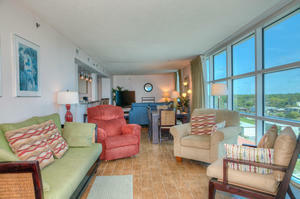 Seaside Resort is a trendy oceanfront North Myrtle Beach resort in the quiet Crescent Beach section. On-site amenities at this beautiful oceanfront resort include an indoor lazy river, indoor swimming pool, oceanfront swimming pool and oceanfront hot tub, in addition to a fitness center. Amazing! The umbrellas and chairs on the pool deck are so inviting. Just grab your favorite book, a big brimmed hat and sunscreen and settle into your place in the sun when you spend your vacation at Seaside Resort. 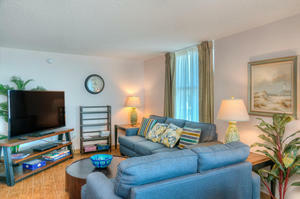 Seaside 803 is a North Myrtle Beach vacation rental that puts all the fun at your fingertips. 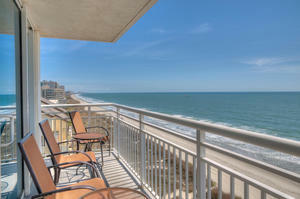 This luxurious condo rental is on the oceanfront and boasts an oceanfront balcony. 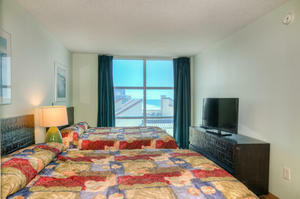 There are three bedrooms in Seaside Resort 803 and up to 10 people are nicely accommodated for a memorable beach vacation. 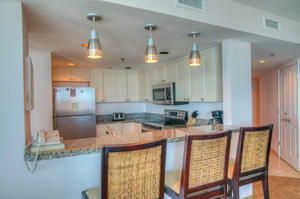 For your convenience, this North Myrtle Beach condo rental has three baths, a full kitchen and a Jacuzzi tub. 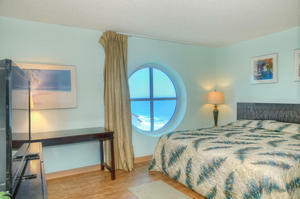 Take it easy in this vacation condominium and soak in the privacy of your own Jacuzzi tub. This oceanfront vacation rental has high-speed Internet access, so bring your laptop and send photos to your friends back home or make reservations online for your favorite seafood restaurants. You are lucky there is a washing machine and clothes dryer in this North Myrtle Beach condo rental. 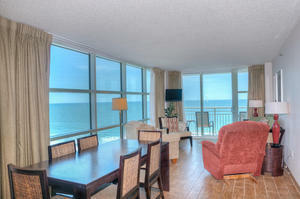 This oceanfront condo rental is quite spacious, with more than 1,600 square feet. 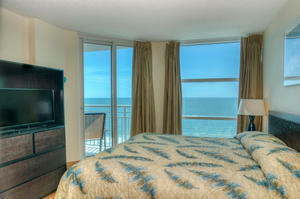 Seaside Resort 803 is a corner unit. 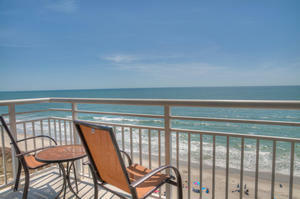 Your family will enjoy views all around in this oceanfront condo. In close proximity to Seaside Resort, you will find championship golf courses, live entertainment theatres, succulent seafood restaurants and shopping outlets. Being just minutes away from your favorite North Myrtle Beach amusements and Myrtle Beach attractions will make this a convenient and fun North Myrtle Beach vacation for everyone!